Russia and China are intensifying their diplomatic efforts to find a peaceful solution to the Libyan conflict. Meanwhile, the US and its allies are to meet in Abu Dhabi to discuss the shaping of Libya in the post-Gaddafi era. ­Chinese Foreign Ministry spokesman Hong Lei said on Thursday that "China has been making diplomatic efforts along with other countries to secure a settlement to the Libyan crisis through peaceful means". "The Chinese side wants the sovereignty and territorial integrity of Libya to be maintained, supporting the Libyan people's right to make their own decision regarding the future of their country," he added. Chinese authorities also announced they may invite the representatives of the National Transitional Council to Beijing for further talks. 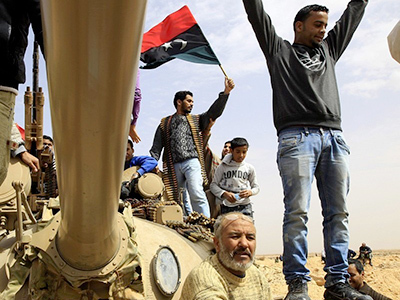 Chinese authorities have already met with the Libyan opposition twice, in Qatar and Egypt. Libyan Foreign Minister Abdelati Obeidi is now in China with a diplomatic mission from Gaddafi. 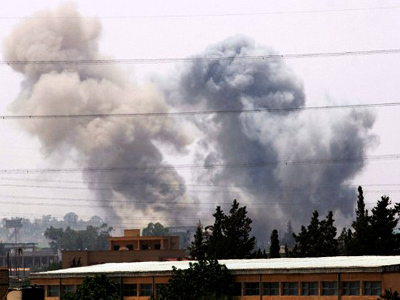 Russia is making its own efforts in bringing both sides of the conflict to negotiations. Russian peace mediator Mikhail Margelov visited Libya to meet with the leaders of the opposition in Benghazi. He then met with a representative of the Tripoli political elite, Ahmed Qaddaf Eddam, in Cairo. After the meetings, Margelov said “both sides are well aware that the current political situation in Libya cannot be resolved by military means and the country's revival is now on the agenda”. He also announced that the Libyan rebels are ready for a possible dialogue. Margelov did not visit Tripoli on this trip, but said he is ready to meet Gaddafi if the Colonel is ready to see him. A source in Margelov’s delegation said the Russian envoy may visit Gaddafi in late June, presenting the Libyan leader with the opposition’s demands. Russia and China both were among those US Security Council members that have abstained from the vote on the introduction of a no-fly zone. 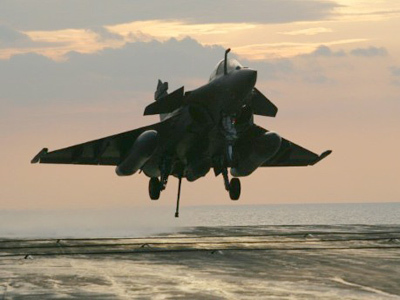 After the beginning of the operation, they repeatedly criticized NATO actions in Libya. ­In the meantime, the US and its allies are holding a meeting in Abu Dhabi later on Thursday to discuss the further development of Libya after Gaddafi has gone. French Foreign Ministry spokesman Bernard Valero said more and more countries believe that “the fall of Gaddafi’s regime is inevitable and that it is necessary to begin preparing the future of Libya without Gaddafi”. Parliamentary Under Secretary of State at the Foreign and Commonwealth Office of the UK, Alistair Burt, said the group is going to announce that “Gaddafi, his family members and his government have lost legitimacy and should leave their governing posts, while the future development of the country is to be defined by the Libyan people”. The meeting of the International Contact Group on Libya will be visited by senior representatives from the US, France, UK, Arab League and the African Union. US Secretary of State Hillary Clinton has already arrived in the UAE. 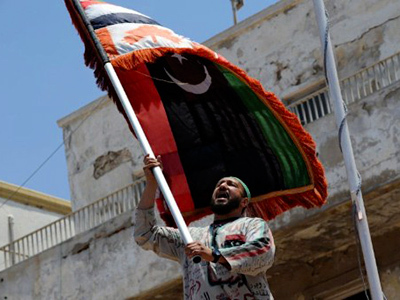 The group also seeks to boost the international support and recognition of the Libyan opposition and may also discuss the establishment of an aid fund for the country. Italian Foreign Minister Franco Frattini announced on Thursday that Italy will send to Libya's rebels up to 400 million euros of cash and fuel aid. 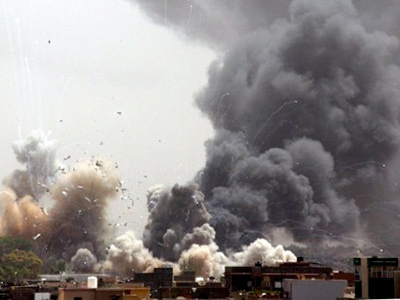 While Russia and China try to look for a peaceful solution to the Libyan problem, NATO intensifies its military involvement, as its air raids on Tripoli become more frequent and powerful. NATO defense ministers, who held a meeting on Wednesday, announced that the operation in Libya will continue until Gaddafi steps down. NATO Secretary General Anders Fogh Rasmussen is pushing for more countries to participate in the military operation, as so far only eight out of 28 NATO members have joined the air raids.